A Valuable Addition to Any Laboratory. Economical, reliable, and very quiet. Suction cup rubber feet ensure stability and reduce vibration. 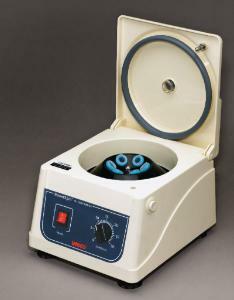 Centrifuge features all UL approved components.